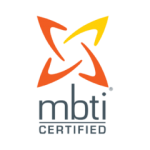 Over the past 70 years, the Myers-Briggs Type Indicator® (MBTI) instrument has helped millions of individuals around the globe gain awareness about themselves and how they interact with others. The MBTI instrument enables personal transformation by giving people a powerful tool for improving how they communicate, learn and work. Today, the MBTI® instrument is the most widely used personality assessment in the world. More than 2 million assessments are administered to individuals annually – including employees of many Fortune 500 companies. Organisations have selected it as the personality instrument of choice across their training and development programs because it provides a common language for appreciating interpersonal differences. Collaborate more effectively by understanding yourself and others better and learn to appreciate and respect differing personality preference types. Self-awareness and emotional intelligence is a critical capability to effective leadership. Gain greater awareness of your own current leadership style and how your type affects the way you lead. Don’t have time to attend one of our workshops? Want some one on one coaching on your MBTI® type? We now offer individual online coaching sessions tailored to your own individual type preferences and learning objectives.